I have never spoken of solar sails is that there is an idea (running) thrust is to harness solar winds like the old sailboats to push small loads (not think that at high speeds, especially for the acceleration). Solar winds are nothing more than a star ejects particles (from its outer layers). Protons, electrons and plasma in general is driven by the magnetic fields of the star and not again be recovered by gravity. Come on, exceeding the escape velocity. That is, the stars lose mass continuously. In the picture you have the Bubble Nebula (in the constellation Cassiopeia) that part of the BD + 602522, a supermassive star that you can see shining like a condemned in the picture. 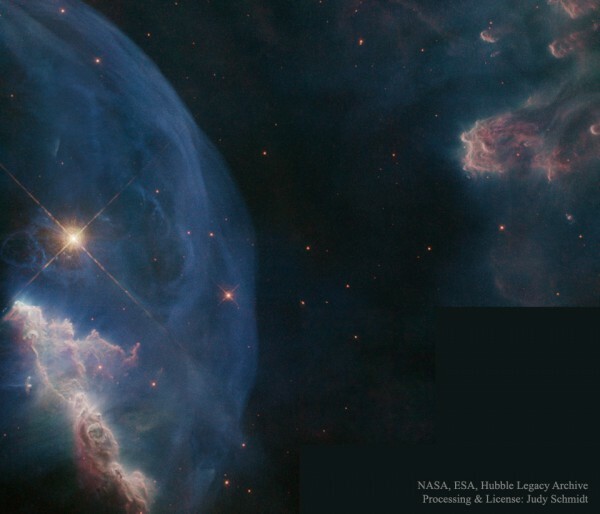 The nebula itself is exactly the astro that particular driven by the solar wind that allows us to physically see and understand why shaped bubble. Come on, do not think you have to explain it. But if you look at the bottom there is “something else other color” and that electromagnetic radiation of the star is able to heat portions of gas. That is, not only influences the matter expelled the star but also the radiation given off effects and presents the image (remember, left). As you can see, the solar wind is a very important element in our universe because it allows transport materials between stars and even helps create new stars of other elements. It’s slow, but steady.